Handcrafted by leading diamond cutter Leo Schachter, the Leo Diamond is cut to reflect light like no other diamond. With its unique facet design, it's the first diamond to be independently certified for its superior brilliance. 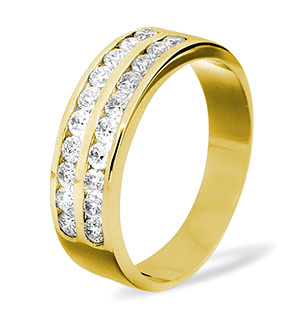 This eternity style ring features seven channel set Leo Diamonds in radiant platinum - the perfect expression of your love.